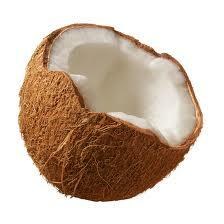 PALEO JAY SMOOTHIE CAFE: Paleo Quick Tip of the Day 37 Save your teeth and skin naturally- with coconut oil! Paleo Quick Tip of the Day 37 Save your teeth and skin naturally- with coconut oil! 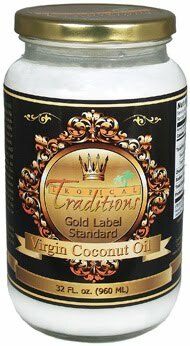 Coconut oil is so good for you, internally, that to go for even a day without ingesting at least some coconut oil seems terrible to me- kind of like the old “a day without sunshine” quote! I mean, talk about a good, God made type of fat- one that nourishes every cell in your body by supplying them with lauric acid, for instance. Lauric acid can help lower your cholesterol and blood pressure, keeps your arteries flexible and atherosclerosis free. Coconut oil is also a metabolism booster- I know when I first started adding coconut milk and oil to my Paleo smoothie, I immediately lost over 5 pounds I didn’t even know I had to lose- really! It was all visceral fat, meaning around my internal organs, so it really didn’t show, but that is the most dangerous kind of fat for your health. Thanks, coconut oil! But, did you know that the external benefits of coconut oil are just as profound? It’s also great as a hair conditioner- just rub it into your hair and scalp, and leave in for a few hours, then shampoo. Your hair will be soft, moisturized, and revitalized! What about the TEETH? 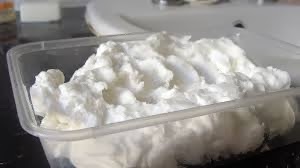 Well, the antibacterial effect of a mouthful of coconut oil is amazing, not to mention that it de-acidifies your mouth, teeth and gums- this acidity is what really harms our teeth, encouraging the growth of harmful bacteria that erode our teeth and gums. You can even brush your teeth with coconut oil... but, the very best thing you can do for your oral health period- I believe this even is more important than brushing or flossing- is coconut oil pulling! Just take about a tablespoonful before you shower, and put it in your mouth. Swish it around, or “pull” it through your teeth and around your mouth for the length of your shower, and shaving, and the rest of your morning routine- then, last thing before you leave the bathroom to get dressed- spit out the oil into the toilet. That oil you just spit out is holding all of the bacteria, acidity, and just plain pollution that has accumulated inside your mouth. So now, you mouth, teeth, gums and entire oral cavity are rejuvenated, pristine, and on the way to perfect health. And if you then take some more coconut oil in by way of your daily Paleo Smoothie, so is the rest of you on that same journey!